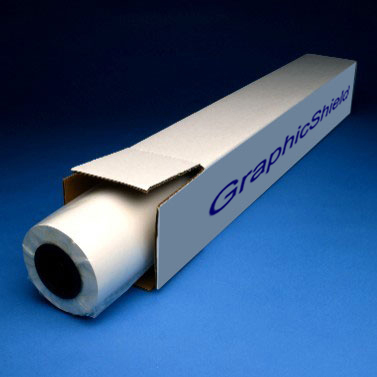 GS41 — Graphic Art Supply, Inc.
GraphicShield™ GENERAL PURPOSE UV GLOSS, UV LUSTER & UV MATTE vinyl laminating film is coated with a solvent acrylic adhesive. GENERAL PURPOSE UV GLOSS, UV LUSTER & UV MATTE laminating film is ideal for protecting posters, wide-format digital prints, photographic prints and display applications. GENERAL PURPOSE UV GLOSS, UV LUSTER & UV MATTE enhances color. They are good choices for general purpose applications and short-term promotions.